Singapore is a country which developed a lot in the past few years. This rapid development made a lot of people to move here and today, the city has almost 5.5 million inhabitants. The real estate sector had to increase as well, in order to support all the new inhabitants and so, many living spaces were built. Like a chain reaction, this also applied for the adjacent industries, which recorded an incredibly high demand for their products. One of the most successful is the lighting equipment industry. The emerge of LED technology, had a huge impact over them. All the competitors, are trying to deliver the best LED lighting products for their customers and to rule this sector. However, in the following article, we will approach this matter from the perspective of a client. We will tell you everything you need to know about LED technology, so you will be informed when you're actually buying them. Most of the houses and offices in Singapore, have stock dimmers, which are incompatible with the LED lights. The replacement process is a little complex and most certain, you will need the help of a specialist with that. You should also consider replacing the switchers, because they might cause problems with your new home lighting. Replacing those is not mandatory and there are some people who didn't. However, an incompatible dimmer can make the lights buzz and turn off for no apparent reason. Our advice is to replace the dimmers and switchers straight from the beginning, to avoid any of these situations. They shouldn't cost you more than $20. Whenever we're buying a classic light bulb, we're looking at how many watts does it have. LED lights don't work that way. Instead, their entire performance is established by the number of lumens. If you don't know how lumens work and what kind of LED light you need for a particular room, this conversion might help you. Normally, a standard 160 lumens light bulb needs 10 watts. So if you were using an incandescent classic light bulb with 100 watts, you will now need an 1600 lumens LED light. However, even if the watts are not establishing the performance, that information is still important. It shows you how much energy the LED light will need. Even though they are a rather new invention, LED bulbs are still a bit expensive for some people. 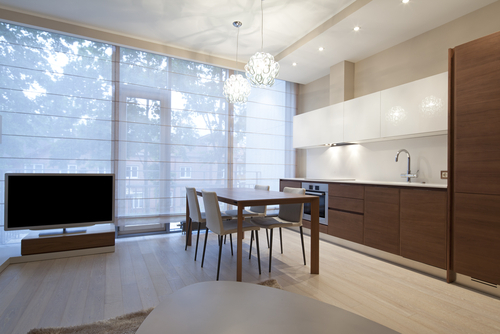 Don't look at a LED light as to a cheaper alternative but as to an investment. It comes with many other advantages and it will provide the best value for money. Considering that the electricity price increased in Singapore, the LED light will allow you to save money. You will spend less for electricity and eventually, the LED will pay for itself. However, you shouldn't worry about a bulb's price that much. The prices dropped a lot recently, and a low budget LED light will cost you around $8. In order to make some consistent savings, you have to replace all the bulbs from your home with LED lights. Because of this reason, many businesses decided to change their office lighting with LED lights, and they recorded some substantial savings. 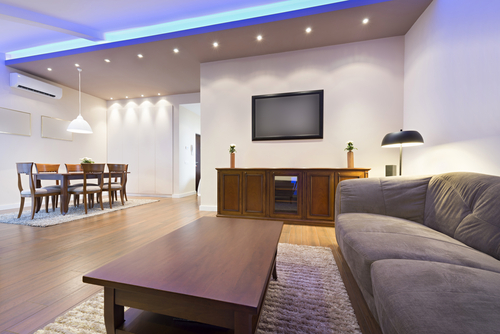 Before switching to LED lighting, you have to know that they come in a wide range of colors. If you've been using incandescent lights, you are probably used to that yellowish tint that they provide. If you like that color and you don't want to replace it, you can choose a LED light with the same color. The more extravagant customers can choose an unusual color like red, blue or even green. However, the best color for office lighting is plain white. It's proven to be helpful in increasing a person's productivity and focusing abilities. The intensity of the colors is also a topic that worth mentioned. For example, a pale yellow will provide a different experience than an intense yellow. Read the label of the product and see what's the intensity of the color. If the label doesn't contain such information, you can always find that by yourself, based on the kelvins number. If you want the same light intensity as a classic bulb, you should opt for a value between 3000-3500 K.
This is a topic of controversy, among many LED lighting producers. 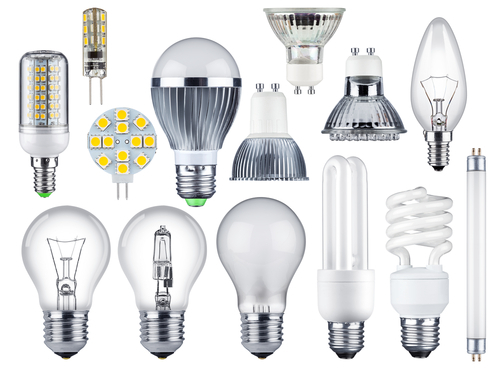 According to the manufacturer, most of the LED products have a lifespan of more than 40 years. However, that's not entirely true. A LED bulb has a more complicated mechanism than an incandescent bulb and that means only one thing: there are many parts that could break over time. The most problematic part is the electronic driver. That is the part which causes the most problems and determines the lifespan of a LED light. Normally, the driver will last for around 5 years, without any kind of problem. That's still way better than the classic bulb. Even though it doesn't sound like a big advantage for you, the LED lights are environmental friendly. They can be disposed much easier and because you don't have to change them too often, you won't overcrowd the landfills. The incandescent lights have a green tax included, which is extremely high in Singapore. Considering that you don't need to dispose and replace light bulbs all the time, the LED bulbs will make you save some money. You are also helping the authorities because the light bulbs are very hard to dispose and recycle. It might not seem like a big deal for you but an office lighting system could make a huge difference when it comes to environmental friendliness. We hope that this article will help you make the right decisions, when replacing your current lighting system with LED lights. Remember that there are a lot of options available on the market, and it can be frustrating to choose the right one. If you cannot afford to spend a lot of money at once, replace them gradually. At least one bulb per month, until you eventually change them all. Just focus on every tip that we've provided, think about your preferences and you will surely find the right LED light.